Meet Memphis by Allure Bridals. 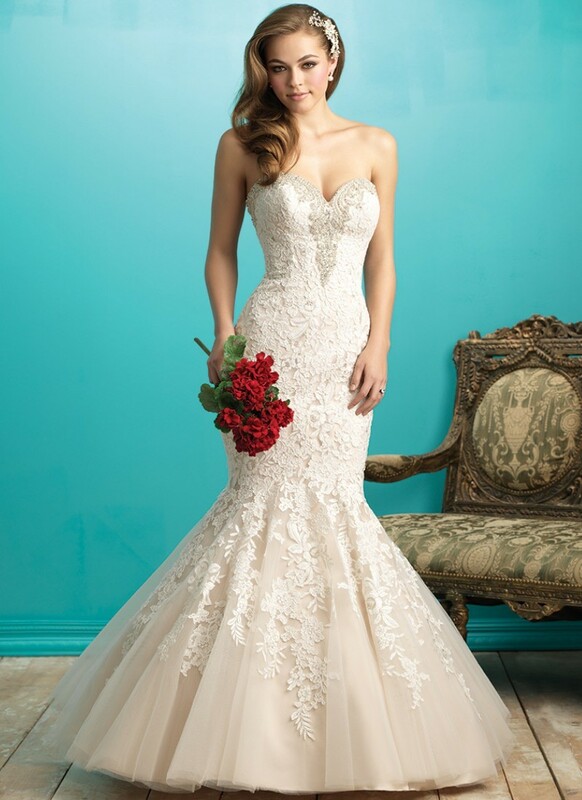 This gown is simply romantic with a classic strapless, sweetheart neckline and gorgeous all-over lace applique in a classic fishtail cut. Founded in 1998 as a retail store, Allure Bridals has grown into an award-winning bridal brand. The unique designs blend rich fabrics with decadent beading and detailing. One of the key things our brides tell us is how comfortable they feel in an Allure gown, due to the patented Allure construction. This collection is all about romance; ball gowns and classic mermaid silhouettes adorned with delicate lace detailing and elaborate beading.